Valentine’s Day is right around the corner, so it’s time to plan your perfect date night or a romantic getaway with that special someone. 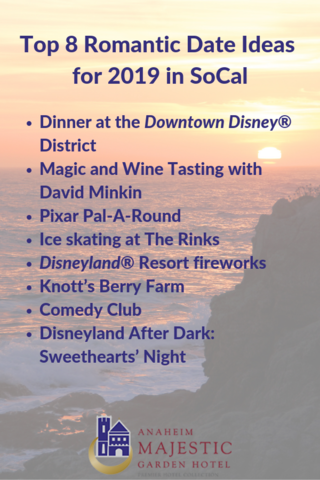 Whether you’re looking for a low-key romantic dinner or an exciting new activity to try as a couple, there’s so much to do in and around Anaheim, California. We’ve put together a few of our favorite romantic SoCal Valentine’s Day ideas to get you started. 1. Make dinner reservations in the Downtown Disney® District. Head on over to the Downtown Disney® District for some delicious fine dining options. Catal is a favorite that features a balcony overlooking the area, craft cocktails, delicious food, and Mediterranean decor you and your significant other are sure to love. Check out their special Valentine’s Day menu (yum!) or enjoy Happy Hour from 3 to 5 p.m. Other popular date night dining destinations in the Downtown Disney® District include Ralph Brennan’s Jazz Kitchen and Tortilla Jo’s! 2. 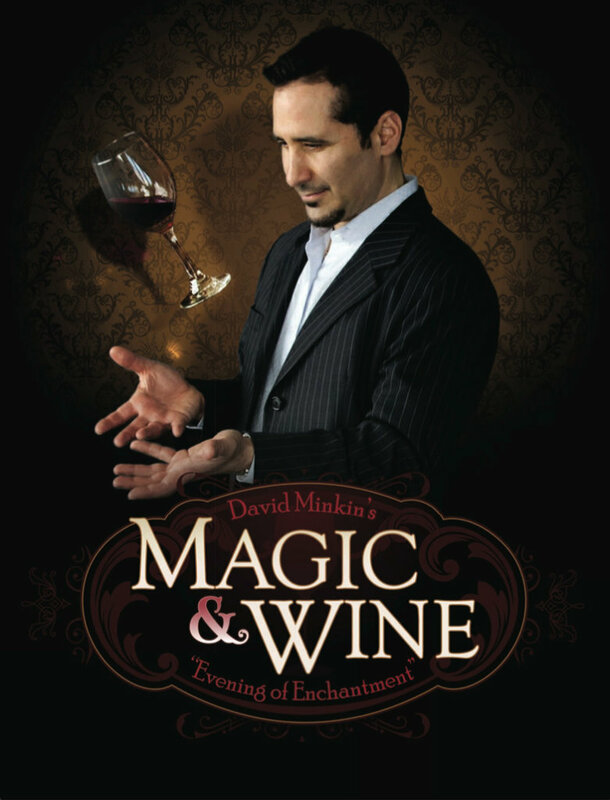 Add a little magic to the evening with David Minkin. Join Anaheim Majestic Garden Hotel and magician extraordinaire David Minkin for an exciting evening of unbelievable magic! The 90-minute special event features wine, hors-d’oeuvres, and, of course, magic. It’s the perfect evening of adult fun sure to spark some intrigue and a little romance! You may recognize Minken from Magic Outlaws on the Travel Channel. Come experience the show for yourself and see why LA Weekly named it the “best magical date night” in Los Angeles. Buy your tickets today! 3. Enjoy a romantic ride on the Pixar Pal-A-Round. There’s nothing quite like stealing a kiss on the ferris wheel at sunset or underneath the stars. Sounds right out of a romantic comedy, doesn’t it? It’s a great way to round out a perfect Valentine’s Day evening with that special someone after enjoying all your favorite attractions and characters around Disneyland® Resort. 4. Skate hand-in-hand at The Rinks. Lace up your ice skates and impress your significant other with your triple Axel — or use it as an excuse to get close and learn to skate together. Either way, you’re sure to have some fun getting out of the house and enjoying time on the ice at The Rinks. It’s the perfect precursor to getting cozy and connecting over some hot chocolate or a glass of wine! 5. Fall in love under the Disneyland® Resort fireworks. If you’re hitting up Disneyland® Resort with your bae, another romantic activity to close out your evening is ooh-ing and aah-ing over the stunning fireworks display together for a magical experience you’ll never forget. The best part? You can see the display from various locations outside the parks too, including Farmers Park and right here at Anaheim Majestic Garden Hotel! 6. Get your thrills at Knott’s Berry Farm. 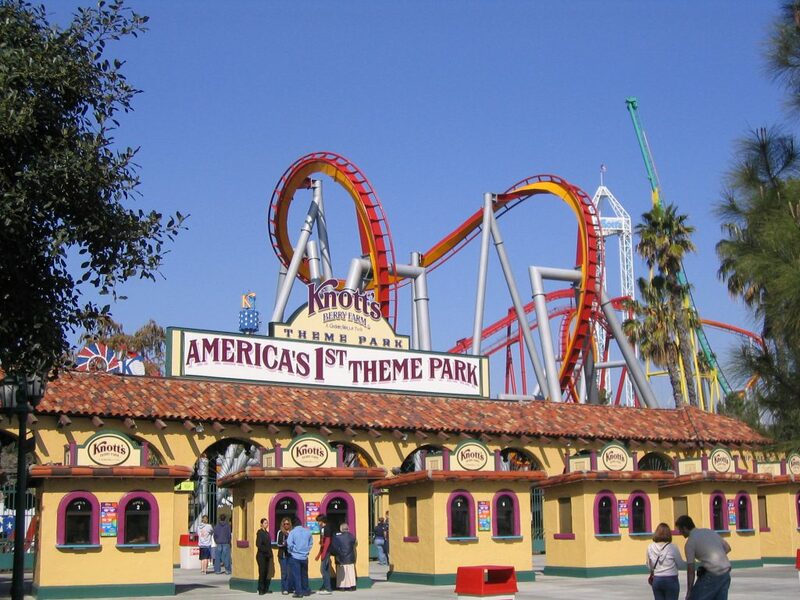 If you and your partner are thrillseekers, then you need to head to Knott’s Berry Farm for a day filled with epic roller coasters. Hold hands and hold on tight as you twist, turn, and plunge around on GhostRide, the longest and fastest roller coaster on the West Coast. Or Supreme Scream, which goes up to 252 feet in mid-air. It’s definitely an adrenaline-filled Valentine’s Day date that’s sure to get that spark going. 7. Laugh it up at the comedy club. A sense of humor is an appealing quality in a significant other, and there’s no better way to let that shine through than catching an improv comedy show together! This Valentine’s Day you can catch comedians Iliza Shlesinger at Brea Improv and Anjelah Johnson at Irvine Improv. It’s a perfect night out for those that love to laugh! 8. Attend Disneyland After Dark: Sweethearts’ Night. 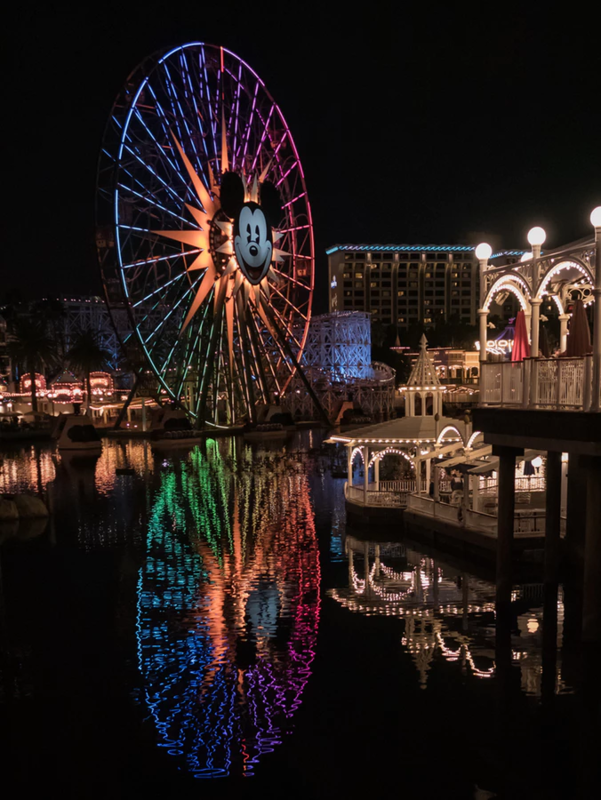 If you want to celebrate Valentine’s Day a little early (or just have a special night with your partner), consider Disneyland After Dark: Sweethearts’ Night on February 7, 2019. The romantic event features fireworks, music, dancing, rare character events, cute photo opportunities, and much more! It’s the perfect way to add a little Disney magic to your Valentine’s Day celebrations. Spend your Valentine’s Day with us! Who says the night has to end early? 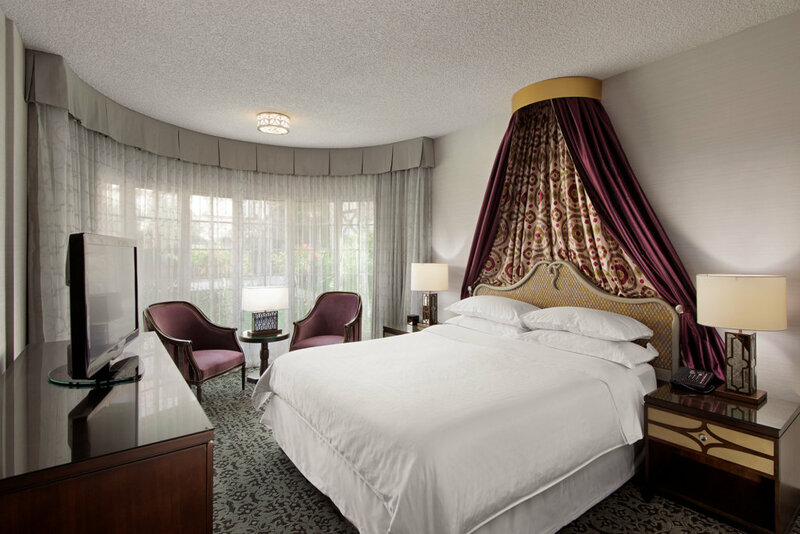 Make your Valentine’s Day last all evening — or all weekend long — with the help of Anaheim Majestic Garden Hotel! Don’t miss our Royal Romance Package designed just for you and your Valentine! Champagne, chocolates, breakfast for two, and more — what could be better than that? Our castle-themed decor makes the perfect backdrop for your fairytale romance, and our comfortable rooms and on-site dining options provide all the comforts you need to kick back and relax as a couple. 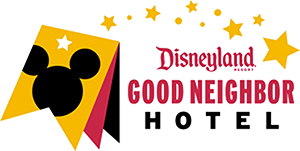 Not to mention, our convenient location and free shuttle to Disneyland® Resort puts you right in the center of all the Valentine’s Day action. Love is in the air here at Anaheim Majestic, and we can’t wait to have you stay with us!